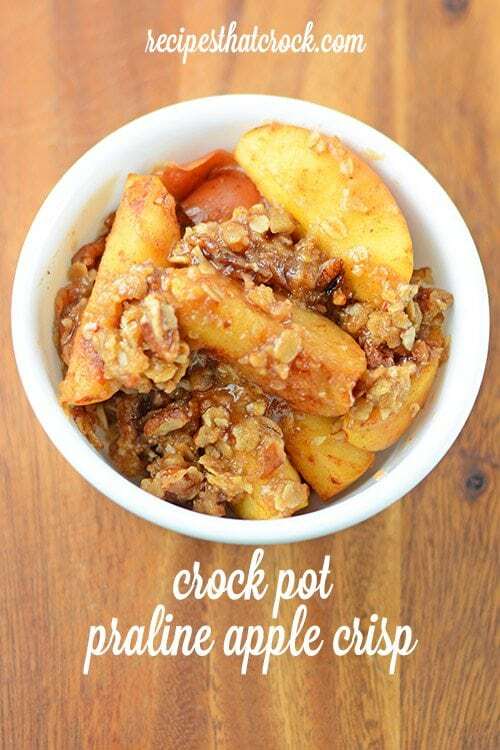 Crock Pot Praline Apple Crisp - Recipes That Crock! Are you looking for a great recipe for all those apples from family apple picking this fall? This Crock Pot Praline Apple Crisp takes the traditional fall favorite up a notch. We LOVE fall around here and fall is just around the corner! 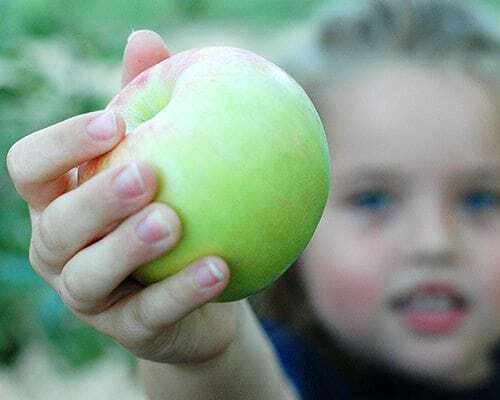 We do all the local fall activities… pumpkin patches, corn mazes, hay rides… AND one of our favorites– Apple Picking!! Sigh… don’t you just want to bottle up those moments? See I told you we pick LOTS of apples! Well add another to the list! 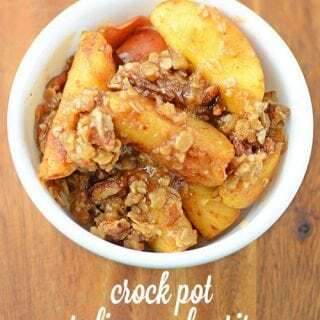 Crock Pot Praline Apple Crisp from Gooseberry Patch’s 303 ‘Round the Clock Recipes has that great fall flavor we all love with the added gooey deliciousness of toffee and nutty pecans. Delicious fall treat! Crock Pot Praline Apple Crisp from Gooseberry Patch's 303 ‘Round the Clock Recipes. Sprinkle apples with cinnamon and place in a greased slow cooker. Combine remaining ingredients (except toffee and nuts) until crumbly. Sprinkle mixture over apples and top with nuts and toffee. This post was shared on Weekend Potluck.